You know sometimes all you really want is to make something that will not dirty up a bunch of pots, pans, bowls, etc. And sometimes that desire can combine with something that is an entirely awesome idea. 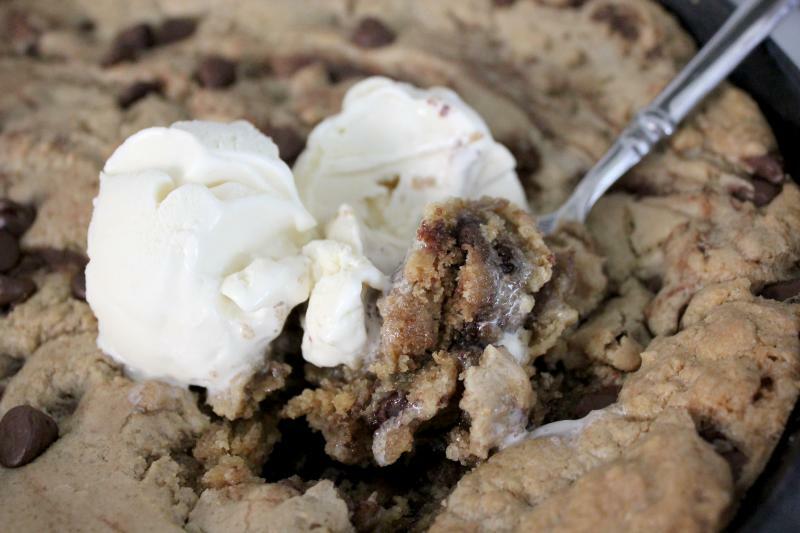 You know how you can get a pizookie type thing at some restaurants? Basically it's just a giant cookie baked in a mini skillet. Now, sure, you can buy some mini skillets if you want and go that route, but why not just go full speed and make it in your full size cast iron skillet? I mean, come on. I don't know many people who would deny eating some warm chocolate chip cookie goodness with some nice melting ice cream on top. If you are one such person, I really question why you're here reading this blog post in the first place. Perhaps you are lying to yourself that you don't like ooey gooey goodness. Is that some drool hanging off your lip? Yeah, I thought so. This is so easy to make, you guys, and an instant gratification deal. It comes out of the oven, and you really only have to wait a few minutes for it to cool down just a bit so it won't burn the roof of your mouth. So if you are just dying for some chocolate chip cookie goodness, but want it nice and warm and with some ice cream on top and none of that scooping out onto a cookie sheet stuff, try this! I don't think you will regret it one bit. 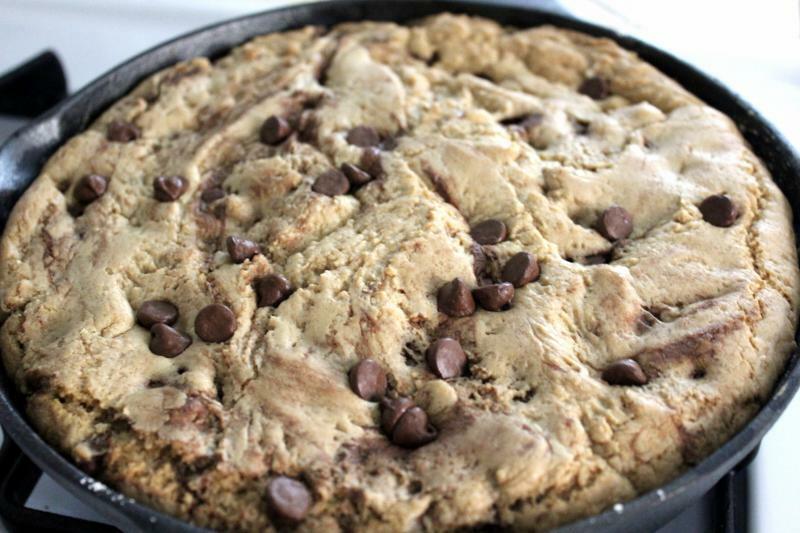 A giant cookie made in a cast iron skillet - best eaten warm with melting ice cream on top. Preheat the oven to 350°F. 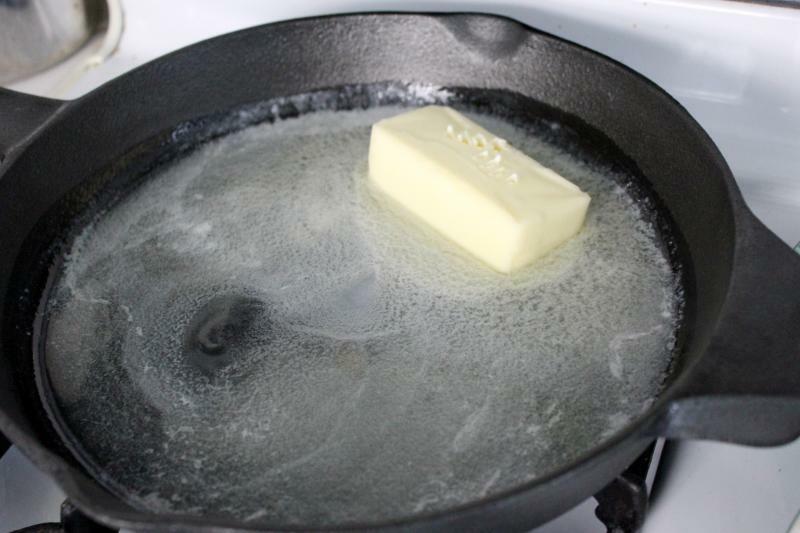 Melt butter over medium-low heat in your 8 inch cast iron skillet. Stir in the sugars and vanilla and remove from heat. Let it cool for about 5 minutes until the pan is warm but not hot. Add in your egg and mix with a fork until well mixed. 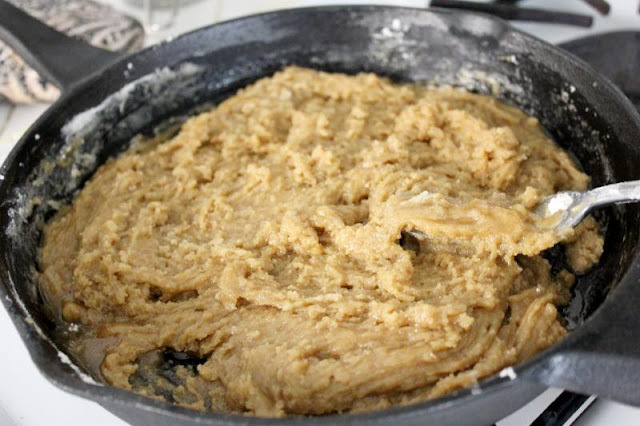 Dump your flour, salt and baking soda in and mix that in carefully with a wooden spoon until it is just incorporated. Then, stir in your chocolate chips or chunks. Stick that in the oven for 15-20 minutes, or perhaps longer depending on the consistency you like. This is more about personal preference here as some like it a bit more underdone. In any case, the edges should be a bit golden brown with the center still soft. Serve it on up with some vanilla ice cream (because why not?). 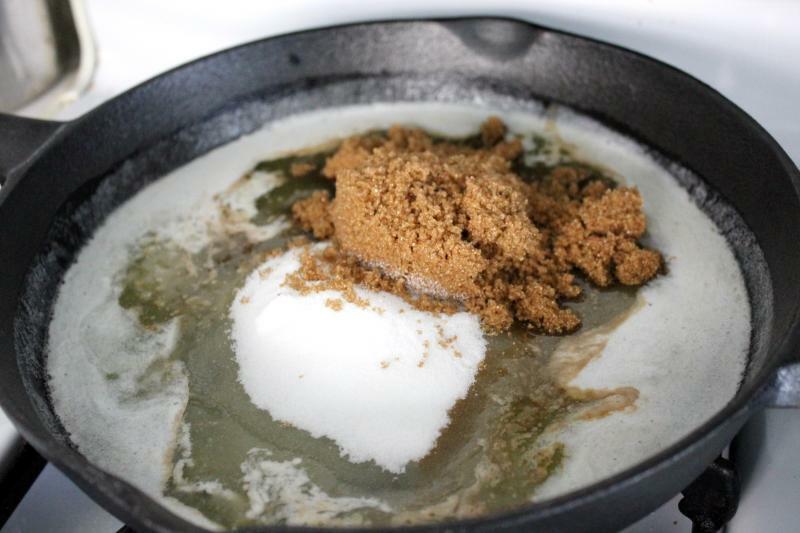 Melt your stick of butter in your skillet on medium-low. Once melted, stir in your vanilla and sugars. 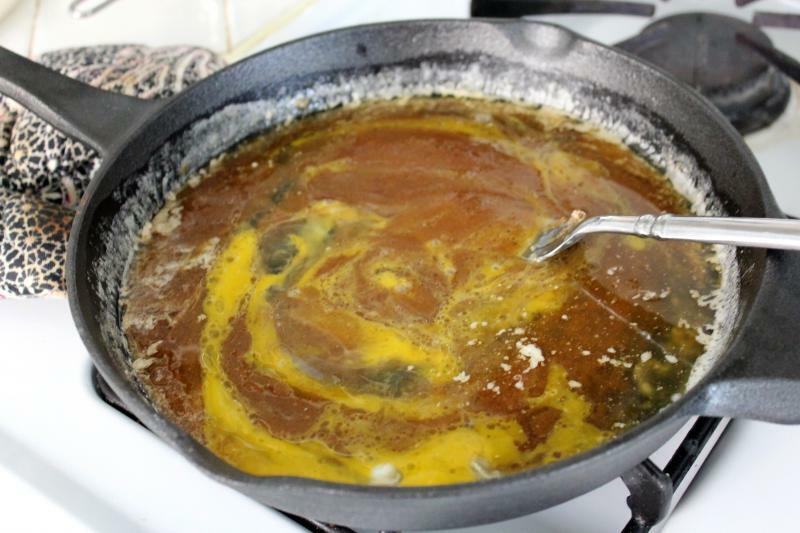 Take it off the heat and let it cool down for five minutes, then mix in your egg thoroughly. 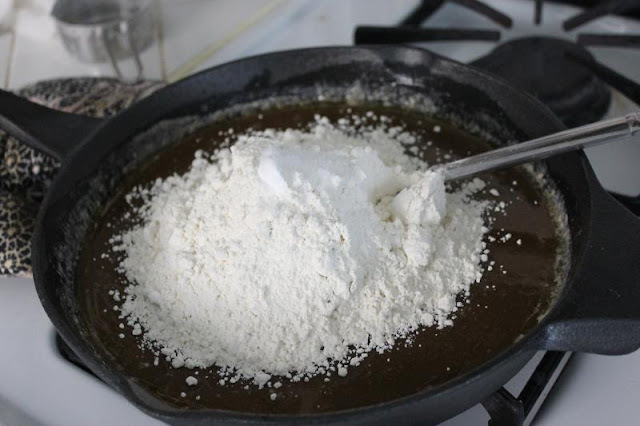 Then dump in your dry ingredients - flour, salt and baking soda - and mix carefully until just combined. It will turn into that! 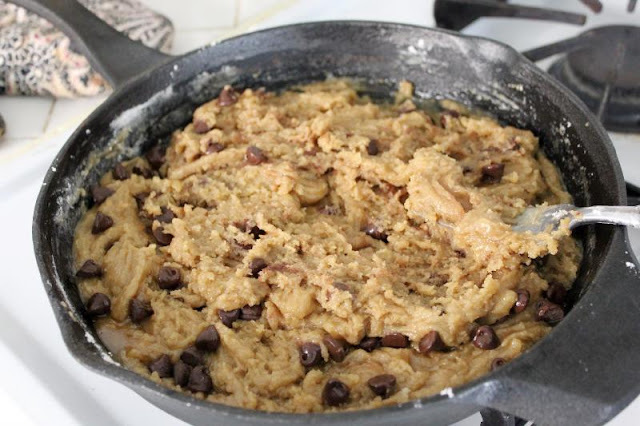 Then add in your chocolate chips and make sure it is fairly evenly distributed in the skillet. Bake at 350F for 15-20ish minutes until the edges are golden, but the middle still a bit undercooked. This is all a personal preference area at this point, whether you like it undercooked or you want the edges a bit harder. Scoop some ice cream on there and dig on in while it's still warm! Yum! 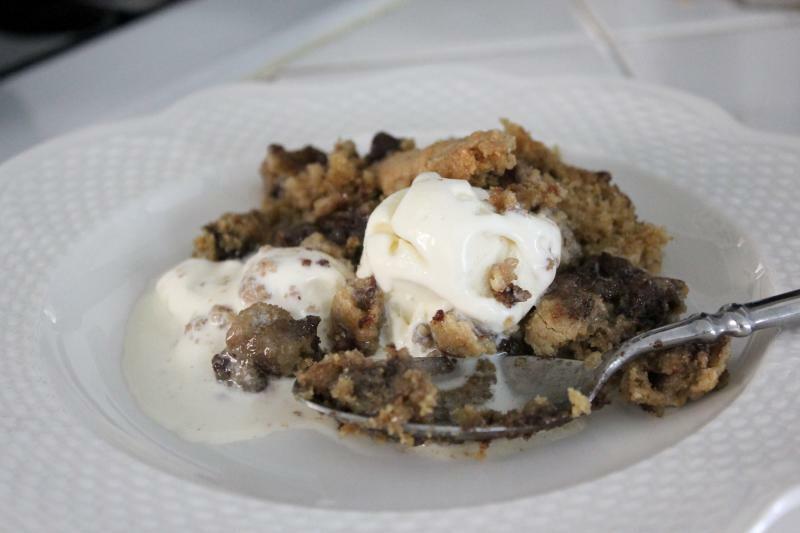 Skillet cookie (as we call it in my house) is one of my favorite, easiest-to-make desserts. I've never tried it with ice cream on top though. Looks like a great improvement! The ice cream really puts it over the top! I would highly recommend it! !